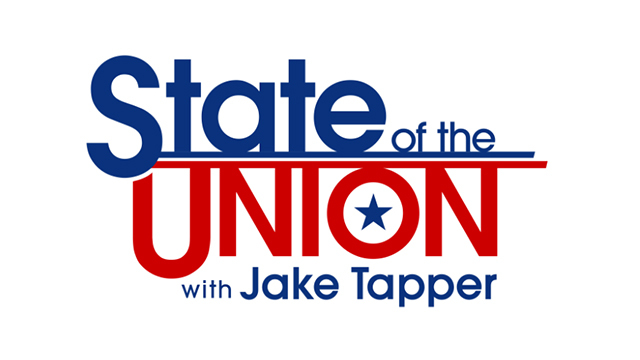 Today on CNN’s State of the Union, Donald Trump Jr., Son of Donald J. Trump joins anchor, Jake Tapper to discuss repercussions of the recent DNC e-mail leak, Roger Ailes stepping down, the possibility of running for Mayor of New York and more. Donald Trump Jr. on how Mook responded to DNC email leak: [TAPPER] So, I don’t know if you were hearing earlier, but Robby Mook, the campaign manager for Secretary of State Hillary Clinton, I asked him about the DNC leak.And he suggested that experts are saying that Russians were behind both the leak — the hacking of the DNC e-mails and their release. He seemed to be suggesting that this is part of a plot to help Donald Trump and hurt Hillary Clinton. Your response? [TRUMP JR] Well, it just goes to show you their exact moral compass. I mean, they will say anything to be able to win this. I mean, this is time and time again, lie after lie. You notice he won’t say, well, I say this. We hear experts. You know, here’s (INAUDIBLE) at home once said that this is what’s happening with the Russians. It’s disgusting. It’s so phony. I watched him bumble through the interview, I was able to hear it on audio a little bit. I mean, I can’t think of bigger lies, but that exactly goes to show you what the DNC and what the Clinton camp will do. They will lie and do anything to win.You hear it with the DNC where they’re leaking emails about Bernie Sanders and his Jewish heritage, to be able to try to destroy him in the south. It’s a rigged system. It’s disgusting and the people who should be fed up because when I heard it I certainly was. [TAPPER] President Obama –There’s nothing wrong with a fair fight, Jake. I don’t mind a fair fight, but these lies and the perpetuating of that kind of nonsense to try, you know, gain some political capital is just outrageous and he should be ashamed of himself. If a Republican did that…[TAPPER] President Obama –[TRUMP JR]: … they would be calling for people to bring out the electric chair. Donald Trump Jr. on the possibility of Roger Ailes joining the campaign: [TAPPER] Your father raised the prospect of bringing on Roger Ailes the former chairman and CEO of FOX News and the idea being Mr. Trump said something along the lines of people are talking about maybe he would run my campaign. Is that actually in play, roger Ailes coming on board and running the campaign? [TRUMP JR.] Not that I’m aware of. I mean, I know they are friends and have a long-term relationship but I’m happy with the work that Paul Manafort is doing, I think our team is really coming into place and swing, it’s been exciting to be a fly on the wall watching a lot of this stuff go down. Because — you know, again, we’re trying to give a voice to the people who have been forgotten and I think the campaign is doing a wonderful job of that. Donald Trump Jr. on the possibility of running for Mayor of New York: [TAPPER] Lastly, Don, your speech obviously very well received and there are Republicans out there wondering if you might run for office someday yourself. It has even been raised a possible run against New York City Mayor Bill de Blasio. Are these ideas that you’re contemplating [TRUMP JR.] You know, listen, I had a good time up there. It was exciting to be able to have a platform like that to speak my voice because as you can hear from this interview I’m really frustrated with what’s going on in this country, Jake. And if I can do that one day I’d love to be able to do it for the people of this country. That’s how I can pay back and give something back. I’d love to do it but right now I’m more concerned about getting my father in there because I know that he will do a wonderful job with that. I know he’s going to fight for the people. You know, it’s not going to be about signed (ph) by politics. It’s not going to be about divisive politics and emails. You know, accusing people of working with the Russian government. It’s not going to be about, you know, going against our opponents calling it a Jewish heritage and try to use that against them in the (INAUDIBLE).If Republicans did that it would be disgusting and that’s what you’re going to see in a Clinton administration. This sort of divisiveness has to stop. They should be ashamed of themselves.And again, if we did that, if the RNC did that, if my father’s campaign did that they’d be calling for people to get the electric chair. So I want my father to win. I know he can fix this country. I know he can take care of the people that needs to be taken care of for a change. And I think we’re going to do a great job. So that’s my 100 percent focus until November. [TAPPER] But after that you might actually consider running for office yourself including mayor of New York. [TRUMP JR.] Well, I never like to rule anything out, Jake. You know, I want to keep optionality. As my father has always said, I want to — we always like to keep our options open. So if I can do that as a service to our country I’d love to do it. JAKE TAPPER, CNN ANCHOR: I’m Jake Tapper. The reviews for Republican Convention might be mixed, but don’t tell that to Donald Trump. DONALD TRUMP (R), PRESIDENTIAL NOMINEE: It is the summer of Trump. It was the autumn of Trump. It was the Christmas of Trump. It was everything. TAPPER: It was the Trump of times, it was the Trump of times. But even Trump’s critics seemed impressed by Trump’s children, some even wondering if the children have their own future in politics. With me now is one of them, Donald Trump Jr.
Don, thanks for joining us. Appreciate it. DONALD TRUMP JR., SON OF DONALD TRUMP: My pleasure, Jake. Good to be with you. TAPPER: So, I don’t know if you were hearing earlier, but Robby Mook, the campaign manager for Secretary of State Hillary Clinton, I asked him about the DNC leak. And he suggested that experts are saying that Russians were behind both the leak — the hacking of the DNC e-mails and their release. He seemed to be suggesting that this is part of a plot to help Donald Trump and hurt Hillary Clinton. Your response? TRUMP JR.: Well, it just goes to show you their exact moral compass. I mean, they will say anything to be able to win this. I mean, this is time and time again, lie after lie. You notice he won’t say, well, I say this. We hear experts. You know, here’s (INAUDIBLE) at home once said that this is what’s happening with the Russians. It’s disgusting. It’s so phony. I watched him bumble through the interview, I was able to hear it on audio a little bit. I mean, I can’t think of bigger lies, but that exactly goes to show you what the DNC and what the Clinton camp will do. They will lie and do anything to win. You hear it with the DNC where they’re leaking emails about Bernie Sanders and his Jewish heritage, to be able to try to destroy him in the south. It’s a rigged system. It’s disgusting and the people who should be fed up because when I heard it I certainly was. TRUMP JR.: … to bring out the electric chair. TAPPER: I want to turn to your father’s speech on Thursday night. President Obama weighed in saying — quote — “this idea that America is somehow on the verge of collapse, this vision of violence and chaos everywhere doesn’t really jive with the experience of most people” — unquote. What’s your response? TRUMP JR.: Apparently he hasn’t turned on the news in the last few months, Jake. If you look at what’s going on in this country it’s a disaster. Anything that’s left of our economy is only there because it’s art initially inflated with low interest rates that don’t work in the long run. It’s a lie. You can’t turn on the T.V. these days without seeing cops getting shot. You have people enabling these things. We’re creating a system (ph) where we’re encouraging criminals essentially to go out and pretend that they are vigilantes. I mean, it is ridiculous. We have to defend our cause (ph) and take care of our people. We have to get law and order back into this world because it doesn’t exist. And if President Obama wants to go on the air and say, look at the America we live in, it’s so phenomenal today versus eight years ago. I don’t think I know an American that believes that to be the case. We are in a mess and we have to finally acknowledge that, Jake. Sound bites are wonderful, but we actually have to do something in terms of action for a change. TRUMP JR.: Wait, wait, wait. Jake, let’s talk about that. TRUMP JR.: Let’s talk about the murder rate for cops skyrocketing. Let’s talk about the real unemployment rate. Because the way we actually measure unemployment is after X number of months if someone can’t find a job, congratulations, they’re miraculously off. When you talk about underemployment which Obamacare has destroyed, people that are working 30 hours a week instead of 40 hours a week so companies don’t have to put them on Obamacare. When you talk about people that just aren’t even registered because they don’t count them anymore. They have been out of work for so long. They’d love to work if they could but they can’t that doesn’t count. These are artificial numbers, Jake. These are numbers that are massaged to make the existing economy look good and make the administration look good when in fact it’s a total disaster. So let’s talk about real numbers. You know, when we talk about the numbers as they see it it’s fake accounting, it doesn’t really work. And that’s not what the actual state of this country is. TAPPER: So when your father — if your father becomes president he won’t use the Bureau of Labor Statistics unemployment rate. He will use the overall rate which includes people who have left the workforce and people who work part time. He’ll — he’s going to switch because every president uses — has used the typical number. He’s going to use this number that includes everything? TRUMP JR.: Listen, I don’t know what he’s going to do, I’m not a policy wonk in terms of what we are going to decide to do, but I think we have to acknowledge that there’s those numbers and then there is the real situation and they are very different. OK? We all understand that, you are acknowledging that at least. Let’s talk about it. I think those are the people that my father is speaking. Those are the people that have been forgotten in this country. And that’s exactly what it is. You know, unemployment is great because these people just can’t even find jobs so they don’t count anymore. Those are the people we’re talking to. Those are the people we want to put the work, Jake. Those are the people that can’t feed their families and we’re telling them that they’re employed because some bureaucrat (INAUDIBLE) says, well, this is the way the numbers work (ph). It doesn’t work that way in the real world. TAPPER: Your father raised the prospect of bringing on Roger Ailes the former chairman and CEO of FOX News and the idea being Mr. Trump said something along the lines of people are talking about maybe he would run my campaign. Is that actually in play, roger Ailes coming on board and running the campaign? TRUMP JR.: Not that I’m aware of. I mean, I know they are friends and have a long-term relationship but I’m happy with the work that Paul Manafort is doing, I think our team is really coming into place and swing, it’s been exciting to be a fly on the wall watching a lot of this stuff go down. Because — you know, again, we’re trying to give a voice to the people who have been forgotten and I think the campaign is doing a wonderful job of that. TAPPER: Lastly, Don, your speech obviously very well received and there are Republicans out there wondering if you might run for office someday yourself. It has even been raised a possible run against New York City Mayor Bill de Blasio. Are these ideas that you’re contemplating? TRUMP JR.: You know, listen, I had a good time up there. It was exciting to be able to have a platform like that to speak my voice because as you can hear from this interview I’m really frustrated with what’s going on in this country, Jake. And if I can do that one day I’d love to be able to do it for the people of this country. That’s how I can pay back and give something back. I’d love to do it but right now I’m more concerned about getting my father in there because I know that he will do a wonderful job with that. I know he’s going to fight for the people. You know, it’s not going to be about signed (ph) by politics. It’s not going to be about divisive politics and emails. You know, accusing people of working with the Russian government. It’s not going to be about, you know, going against our opponents calling it a Jewish heritage and try to use that against them in the (INAUDIBLE). If Republicans did that it would be disgusting and that’s what you’re going to see in a Clinton administration. This sort of divisiveness has to stop. They should be ashamed of themselves. And again, if we did that, if the RNC did that, if my father’s campaign did that they’d be calling for people to get the electric chair. So I want my father to win. I know he can fix this country. I know he can take care of the people that needs to be taken care of for a change. And I think we’re going to do a great job. So that’s my 100 percent focus until November. TAPPER: But after that you might actually consider running for office yourself including mayor of New York. TRUMP JR.: Well, I never like to rule anything out, Jake. You know, I want to keep optionality. As my father has always said, I want to — we always like to keep our options open. So if I can do that as a service to our country I’d love to do it. TAPPER: All right. Don Jr., thank you so much. Really appreciate it. TRUMP JR.: Thank you, Jake.